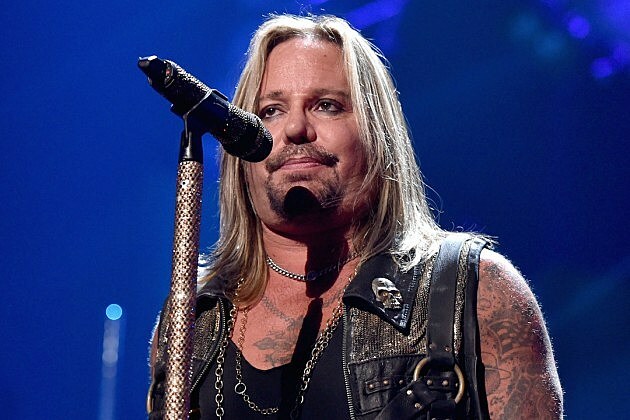 Motley Crue singer Vince Neil says he is taking an Oregon woman to court in order to regain access to various social media accounts, including his own Facebook page. According to the Las Vegas Review-Journal, Neil gave access to his accounts to Kristy Sinsara, a social-media strategist who is still managing the pages even after her termination. Neil's complaint says Sinsara agreed to return access to the pages in December, and again earlier this month, but she "continues to maintain control over the accounts and makes unauthorized posts on the accounts." The lawsuit was filed last week in Clark County District Court at Las Vegas, where Neil has established a restaurant and arena football franchise. Sinsara is now editor of Living Echo Social, an online magazine, and was compensated not with cash but by reciprocal promotion of her projects by Neil, according to the Review-Journal. “Neil agreed to give Sinsara access to and administrative control over his accounts, but Neil retained ownership of the accounts,” his lawsuit states. Sinsara then allegedly changed the password and email contact details. Now, the complaint says she "is using them to trade on Neil's fame and celebrity as a means of promoting Sinsara and her works." Sinsara, however, has denied the accusations, adding that she has not worked on Neil's behalf since January. "The last time I posted something was with his approval," she told the Review-Journal. "This whole thing is being spun into an absolute lie." The most recent post on Vince Neil's Facebook account dates to Jan. 10. Sinsara has also written extensively about her relationship with Neil.